With things like lower gas prices making car travel more affordable than ever and things like cell phone making people more distracted than ever, it might not be surprising to hear that the number of U.S. traffic fatalities continues to rise each year. The actually numbers, however, are shocking. The National Safety Council (NSC) estimate that 38,300 people died and 4.4 million injured on U.S. roads in 2015. 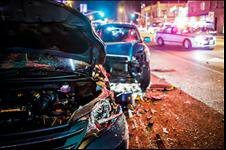 This means that the number of U.S. traffic fatalities increased by 8 percent from 2014 to 2015, the single largest one-year increase to occur in 50 years. Furthermore, NSC reports that 2.3 million people sustained “serious injuries,” or injuries requiring medical care, in just a period of 6 months in 2015. NSC considers increase usage of smart phones to be one of the largest contributing factors to the rise in U.S. traffic fatalities. Drivers are texting, accessing e-mail and social media apps, while they are driving and it is putting other drivers at serious risk of injury. In fact, NSC estimates that texting while driving can increase the chances of an automobile crash by eight times. This may be surprising as some people say that texting only takes your attention away from the road for a few seconds. However, even if checking a text causes you to glance away from the road for 5 seconds, if you are driving at 55 mph, this would be like driving the length of an entire football field with your eyes closed. Also, always be aware of your surroundings while on the road. You may be implementing these safety measure, but others might not be. Practice defensive driving and be prepared. NHTSA reports that there are more people on the roads than ever. With affordable gas prices, people are taking to the road for road trips and vacations more than ever. Let’s all work to make sure we arrive safely at our destinations.